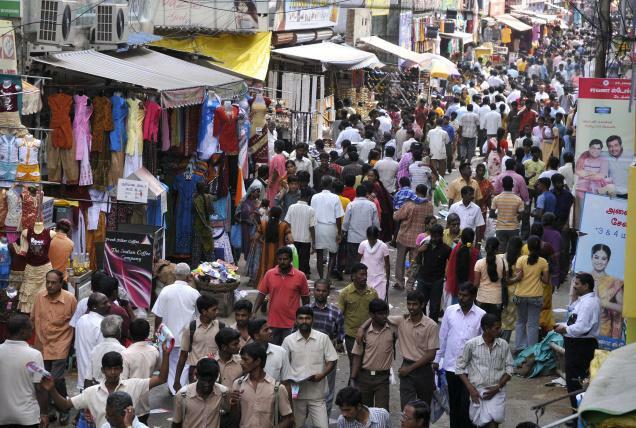 According to the United Nations, India looks set to overtake China as the world’s most populous country from 2028. At that point, India and China will number 1.45 billion people each. Subsequently India’s population will continue to grow until the middle of the century, while China’s slowly declines. The UN also estimates that the current global population of 7.2 billion will reach 9.6 billion by 2050. That is a faster rate of growth than previously estimated. The population growth will be mainly in developing countries, particularly in Africa, the UN says. The world’s 49 least developed countries are projected to double in size from around 900 million people in 2013 to 1.8 billion in 2050, whereas the population of developed regions will remain largely unchanged. The UN said the reason for the increase in its projection for total global population in 2050 is largely new information on fertility levels in certain high birth rate countries. Large developing countries, such as China, India and Brazil, have seen a rapid fall in the average number of children per woman, but in other nations, such as Nigeria, Niger, Ethiopia and Uganda, fertility levels remain high. Nigeria’s population is expected to exceed that of the United States by the middle of the century, and could start to rival China’s by 2100. China’s population is expected to start decreasing after 2030. “Although population growth has slowed for the world as a whole, this report reminds us that some developing countries, especially in Africa, are still growing rapidly,” commented Wu Hongbo, the UN’s Under-Secretary-General for Economic and Social Affairs. The UN publishes an assessment of past, current and future population trends every two years, in a recurrent series known as the World Population Prospects. Researchers have used data for 233 countries and areas to produce Friday’s report. Why Rupert Murdoch is divorcing Wendi Deng?